The Candy Factory—a coworking space established in 2010—is located in the heart of downtown Lancaster, PA.
Rock Candy founded in 2017 is our second location and is located on the Rock Lititz campus in POD # 2. 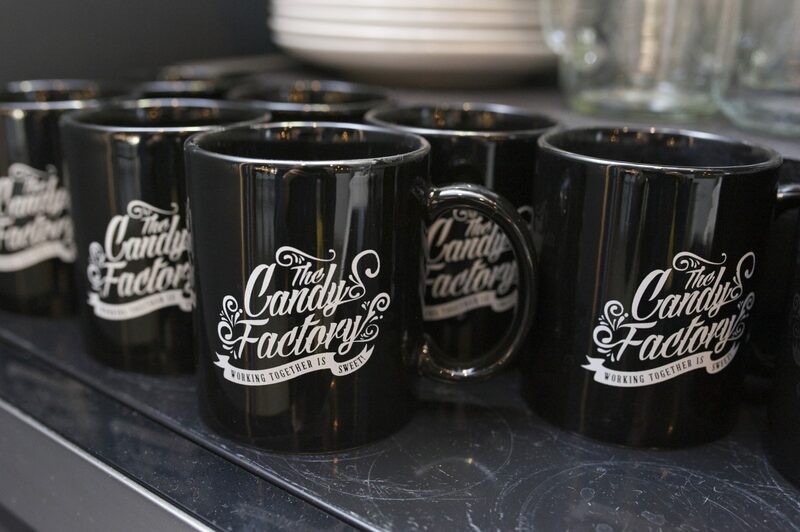 The Candy Factory is Lancaster’s premier coworking community and shared workspace. We are a community of professionals who have found a new way to work. Coworking and shared workspaces help promote business growth, creative thinking, shared brilliance and collaboration while offering an affordable office solution for small businesses, freelancers, remote workers, and non-profits. The open space concept we provide offers up many advantages, from networking and collaboration opportunities to easy access to shared resources. An amazing coworking Community, 14,000 square feet of flex, work and meeting space, Fiber internet, 6 conference rooms, 6 phone booths, 3 workshop/venue spaces, parking for your guests, 24/7 secure access for those who would like their own desk. Access to events, lunch and learns, mailing address, Access to our 2nd location Rock Candy at Rock Lititz and so much more. The Sixth Floor Social Club, come to rub elbows with movers and shakers. These free events are open to you and a guest. Ideal location—300 block of North Queen in Lancaster City. Sound perfect? Have questions? Take a tour! Building Community & Resources at Rock Lititz – Rock Candy, Coworking In Lititz, PA, A Candy Factory Project. In February 2017 The Candy Factory opened up the first coworking space in Lititz, PA in partnership with Steve Palmer of Coworking Lititz. This beautiful 2400 sq foot space houses 30 full-time members and also has flex space available for drop-ins. All members have access to both locations and inclusion in the newly formed Rock Lititz Community. To schedule a tour and learn about membership, please fill out the form below!